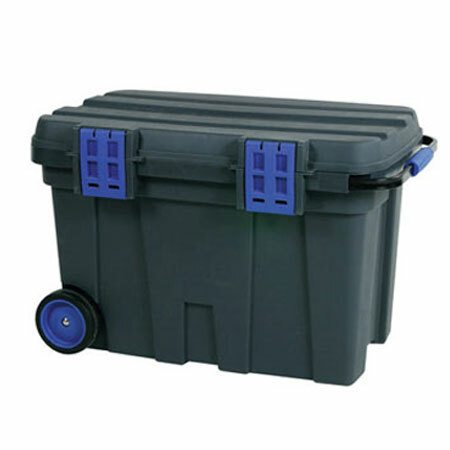 Large storage box for large equipment and tools. User friendly design with wheels and handle. 2 internal trays and click locks. Tools can be mounted inside the lid.